Nearly a year ago, I reviewed two short story anthologies, Red Room: New Short Stories Inspired by the Brontës and Best British Short Stories 2015. Within these, I read two short stories by an author called Elizabeth Baines. Both mesmerised me. They had an intriguing narrative style and a self-conscious awareness of storytelling that intrigued me. I was keen to read more by her and now finally have. Her new book Used To Be certainly lived up to my high expectations. The collection is separated into two halves. ‘What Was, What Is’ contains stories that deal with the theme of memory, of the shifting connections between the past and the present. The second section, ‘What May Be’, deals with what if stories and hypotheticals, with dreams and turning points and possibilities. Both sections have a wide variety of stories, ranging in perspective, theme and even the time period in which they’re set. We have middle-aged women looking back at the turning point of their life. We have sisters who have never understood each other, nineteenth century men being haunted by the ghosts of their deeds. We have black holes and near train crashes and ruined castles. These stories are journeys into the past and into possible futures and strike a superb balance between the thought-provoking and the poignant. Overall I prefer the stories in the second section, ‘What May Be’. This is partly because of the greater interest the themes of the second section hold for me personally, and also because what I felt were the weaker stories in the collection – ‘Looking for the Castle’ and ‘The Relentless Pull of Gravity’ – were in the first section. That’s not to say that I didn’t enjoy these stories, but I felt with both that I was missing something, that there was some moment of clarification or change that was lacking. Regardless, Baines is certainly a talented writer, and I find her narrative style fascinating and refreshing. I especially love her use of various voices and narrative perspectives. She uses the second person with a skill and effectiveness I don’t think I even realised was possible. 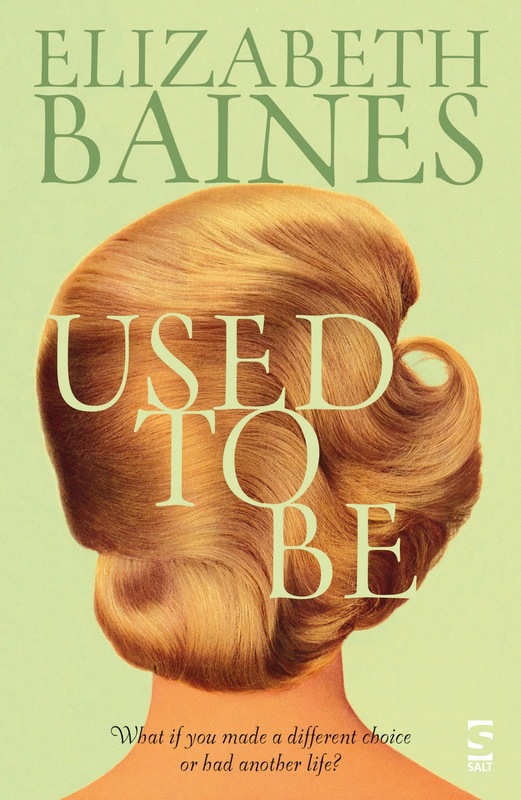 The second person always feels like a risk to me – unnervingly direct, less familiar to us as readers than first or third – and yet Baines pulls it off incredibly. The stories told in the second person – ‘Looking for the Castle’, ‘Clarrie and You’, ‘Possibility’ and ‘What Do You Do If’ – have a strange and beautiful sense both of universality and of uniqueness; they are about specific characters but they are also about you. You are literally pushed into the shoes of these characters. It’s different, clever and wonderfully effective. I won’t discuss each individual story in depth, but there are a few in particular I’d like to mention. I’ve previously reviewed ‘This Turbulent Stillness’ and ‘Tides or How Stories Do or Don’t Get Told’, which remain two of my favourite stories in this collection. ‘This Turbulent Stillness’ is a moving and interesting story, in a way a modern take on the relationship between Cathy and Heathcliff from Wuthering Heights. ‘Tides’ is I think my favourite story overall. It is a story about the lack of stories, a twisting tale of stories that could or could not get told, of the stories that slip through the net or stories that distract from other stories. It’s beautiful, and it’s self-reflective, both of which please me. Another that I really loved, was ‘The Choice Chamber’. This story is about a woman pondering what would have happened if, at some point in her past, she had gone a different path, chosen a different man. It is one of those perfectly timed short stories, that starts and finishes exactly where it ought to, that is somehow exactly the right length and tone. It is an enigmatic, clever, brilliant story, that clearly captures different sides of one character. I was also impressed by ‘Falling’. This is perhaps one of the strangest and most puzzling stories in the collection – and yet I loved it. A woman falls, or maybe she dreams she falls. Or, a woman falls, then falls again, and it is second fall, not the first, that is the dream. From the first line, ‘Then one year she started falling’ to the end, I was hooked and, if half bewildered, also enthralled. Another favourite was ‘Possibility’. This story follows three characters – three different second person ‘you’s in fact, in the wake of an accident on the train, a disruption due to a fatality of the line. Baines moves you rapidly from character to character, but the directness of the second person really makes you inhabit each one, seeing each side of the story, seeing every character both through their own eyes and the eyes of those around them. It is a really interesting examination of the interactions of strangers, of how people deal with unexpected situations. And, vitally, the ending is brilliant. All in all, I loved this collection, and I am excited to read even more by Elizabeth Baines in the future. Her writing style is strong and refreshingly different, and I was especially impressed by her use of the second person. The collection fits together well and was a real pleasure to read. It contains all the ingredients I love in a book: great writing, interesting use of narrative perspective, hypothetical questions – and a few references to the Brontës. Least favourite story: Probably ‘Looking for the Castle’ and ‘The Relentless Pull of Gravity’; with both I sort of felt that they stopped short of something, that there was some moment of clarification or poignancy that was missing or that I’d missed. Click here to buy Used to Be through my Foyles affiliate link. Next week: It’ll be a guest review by Christopher King. It's a great story, it takes its deserved place. I recently found a similar story when looking for an essay for my sister uk essay writing. I advise everyone who needs a good place, excellent quality and fast execution. I remember how I wrote my first essay, it was a long night without sleep. It was difficult, so I prefer this way.